Eventually, I wound up as a budget analyst for the Department of Labor. 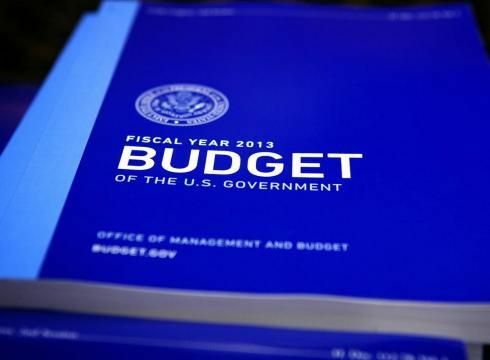 Federal agencies usually submit at least three versions of their annual budgets during the course of each fiscal year. These documents must present an effective mixture of numbers and narratives to justify the agency’s continuing existence as well as to request funding for new projects. Some budget analysts specialize in numbers-crunching, and some are better at explaining what the numbers mean. In my experience, the numbers specialists are more respected, but they can’t get along without the writers, even if they think they can. I enjoyed budget-creating most when I was still young and idealistic. When I arrived at Labor in the early 1980s, I wholeheartedly believed in the department’s mission to uplift and protect the workers of America. Some administrations were resistant to those goals, but the challenge of finding ways to carry out the mission while enduring hostile cuts was satisfying in its own way. One of the highlights of my career took place at a hearing on Capitol Hill when an opening statement I had written was read, word-for-word, by the agency head. The supervisor I had then was proud of me and had my back. I only realized later what a rare gem he was. There’s a reason why workplace comedies like “The Office” resonate. Supervisors and managers are an easy target for satire, since few can resist abusing what power they have. With a few well-publicized exceptions, most higher-ups in the Federal government never get disciplined because they generally refrain from blatantly illegal acts. But borderline unethical behavior, as well as plain bad judgment, are pretty rampant. I’ve seen managers form cliques with their favorite employees (who may nevertheless badmouth them behind their backs), take dubious junkets at taxpayer expense, and hire the people they want while skirting proper hiring procedures. Sometimes the office is junior high all over again, and other times it’s like society at large, where the one percent who already have everything get all the promotions and perks. Yet jobs that involve writing seem to be coveted. I was always fighting off newcomers and interns who were brought in to try their hand at doing my job, as a test of their basic analytical skills. Until late in my career, I was able to defend my turf. One quirk of managers is that they tend to believe in their own perfection when it comes to writing, so editing them can be tricky. More than once, we budget drones would depart the office on a Friday, leaving behind what we thought was a completed budget ready for final approval, only to return on Monday to find that a manager had screwed around with it over the weekend and turned it in with serious omissions and errors that weren’t there before. A backup edit could have prevented that, but those are not always appreciated. One time I was able to delay, by about thirty minutes, sending through a piece that would have gone to Capitol Hill full of silly typos if I hadn’t caught them. My supervisor at that time was annoyed by the delay, and incredulous that there could have been any mistakes. I finally learned to edit on the sly if possible. I once rewrote a budget narrative that had come from one of our brilliant IT specialists in pure, incomprehensible geek-speak. With the help of Google, I was able to translate it into plain English. In order to get it through without a lot of review, I passed it off as the higher-up’s original work. Later on, a newfangled electronic budgeting system was introduced, designed to make everything work faster and more efficiently. Like all new innovations, it did help in some ways when it was working properly (a fifty-fifty proposition), but at times it made matters worse, since some managers didn’t understand its limitations. They thought it gave them license to send in program narratives right on deadline, or make further changes at the last second, which could then be loaded into the system. They expected a fully realized budget to pop out just by clicking a button. But even the fanciest machines don’t necessarily understand formatting or recognize human errors. Naturally, we analysts were blamed for any mistakes we couldn’t catch on the fly. In spite of frustrations like these, I took pride in my job until I apparently got too old for meaningful work. Hitting a certain age is the kiss of death for many Feds. Age discrimination is rampant in the Federal government, regardless of the rules against it. I’ve heard many stories similar to mine, so I have to conclude that agencies routinely drive out good employees who might have had several more years of productivity left. I can understand, up to a point, the need to plan for the future by bringing in younger blood. But the discarding process can be unnecessarily humiliating, and uneconomical as well. Sometimes I felt like shouting out that graying hair isn’t necessarily a sign of senility. I still remembered how to do things I had done as a youngster, and I usually noticed what was going on under my nose. I also questioned the wisdom of bringing in younger people and overpaying them to do the same work we used to do at much lower grade levels. I saw the most experienced employees relegated to the kinds of routine housekeeping tasks that are unappreciated and unrecognized until they don’t get done. Since I retired, about a year and a half ago, I’ve heard informally that it is indeed a problem getting enough of these new hot-shots to pay attention to certain thankless but necessary tasks. I expressed the opinion before I left that it might be advisable to familiarize more people with the grunt work. But now that I’m gone, that’s so not my problem. My job now is to polish the skills I once used to earn a living, and have fun doing it.